THE father of abducted NSW child William Tyrrell has been revealed as former prison inmate Brendan Collins who goes by the nickname "Bones". News.com.au can exclusively reveal Mr Collins' family are concerned about his wellbeing following his release earlier this year from prison on drugs charges and as the third anniversary of William's disappearance approaches. He can be publicly identified as William's biological father after a Supreme Court order ruled details of William's complicated family history could be published. Karlie Tyrrell and Brendan Collins, the biological parents of William Tyrrell. The fact he was in foster care when he was abducted on September 12, 2014 has been known by media since early in the investigation to find him, but for most Australians it came as a shock when it was finally revealed last month. William was playing in his foster grandmother's garden at Kendall, on the New South Wales north coast, on September 12 when he disappeared. Sources close to "Bones" Collins have told news.com.au he is a grieving father and loved the little boy, despite William being placed in foster care by the state. Last month news.com.au revealed William's biological mother was Karlie Tyrrell. 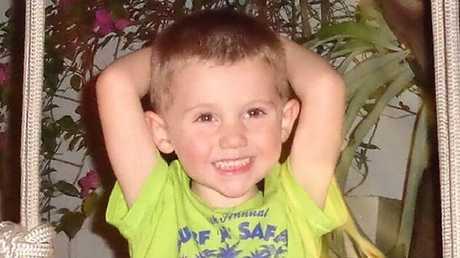 William Tyrrell was playing in his foster grandma's garden when he disappeared in September 2014. Meanwhile, the foster parents of little William have released a statement ahead of the third anniversary of his disappearance. "Where are you William? Where are you our precious little boy? Tomorrow will mark the third anniversary of your abduction and three tragic years of unspeakable heartbreak and endless tears. Tomorrow will mark three years without you, three years of not knowing where you are, three years of keeping hope in our hearts that with every new tomorrow will come the day that you'll be found." 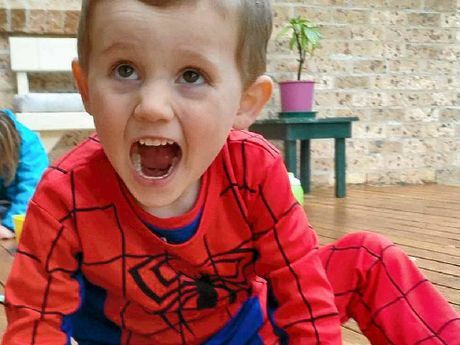 The distraught family of William Tyrrell have been unrelenting in their quest to see justice served. The statement, on the Facebook page Where's William Tyrrell? Bring Him Home has attracted hundreds of messages and shares since it went up this morning. "William, we will never stop loving you. We will never stop looking for you, and until the tomorrow we yearn for comes, we will never give up hope that you will be found and returned home to the arms of your loved ones where you belong." From this week, the Where's William Campaign will be rolling out a digital ad campaign featuring the $1 Million reward on billboards, in shopping centres and on screens in cafes and offices around Australia to appeal for the somebody who knows something to come forward and tell police what they know.